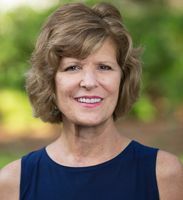 Donna moved with her family to Glynn County almost twenty years ago from middle Georgia. She immediately fell in love with the area and saw the great potential for selling the loveliness of this area to others. Having been involved in the construction business for many years, she knows a great home and location when she sees one. She is sincerely interested in making this a way of life for others who are lucky enough to move here. Personal: Married with 2 children, 2 step-children, 5 grandchildren. Hobbies: Reading a good book, traveling, kayaking, spending time with my husband, children, and grandchildren.